Join us for our FREE Invisalign open day Tuesday, 26 April 3-8pm! 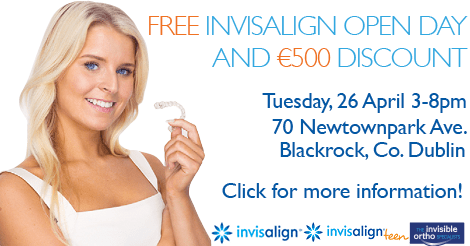 This event is free of charge, open to the public and all attendees will receive a €500 discount (if the participant signs up to start Invisalign treatment with us within 2 weeks after the open day). Our orthodontic specialist, Dr Máirlín O’Donnell and our Invisalign representative, Peter Duffy, will give detailed information and personal consultations to anyone interested in invisible brace treatment. No appointment necessary, for more information call (01) 210 4588 or visit our event’s Facebook page. Invisalign is the revolutionary clear brace system that straightens teeth without being noticed. Invisalign braces are both removable and virtually invisible, adapting to the modern person’s lifestyle. The aligner trays made of smooth, comfortable, BPA-free clear plastic are worn over your teeth to subtly and gently move your teeth over time. Dr Máirlín O’Donnell is a proud provider of Invisalign and has reached Platinum status with the organization (treating upwards of 80 Invisalign patients this last year alone), has extensive experience with Invisalign and Invisalign Teen, is part of a specialist group of orthodontic Invisalign providers and has a state-of-the-art scanner to digitally scan patients’ teeth and uploads them to Invisalign in just a few minutes! Please note this offer is invalid as of 10/05/2016. 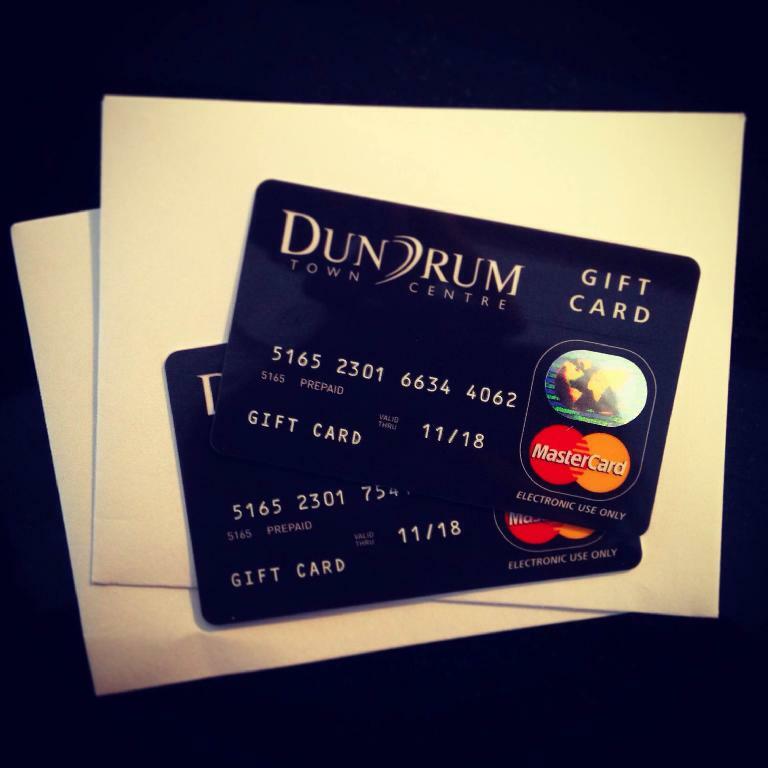 We are giving away two 100 gift cards to Dundrum Shopping Centre! Enter to win by going to our Facebook page, find the post with the picture below and like and share it. Don’t forget to give our page a like as well! Please note this offer is invalid as of 15/03/2016.